The original recipe for this week actually called for upside-down baby cakes made with rhubarb. Since we had neither baby cake pans nor rhubarb, we decided to change things up a bit. Upside-down cakes are extremely versatile, allowing for easy substitutions, and are among our favorite cakes for this very reason. The other issue we ran into, looking at the original recipe, was the fact that it called for bourbon, not something we are particularly fond of. However, we could see ourselves using some sweet white wine for poaching some pears. Good thing our local store happened to carry some delicious fresh Bosc pears. Sadly, our own pear tree will not bear any fruit this year, since some unexpected late storms packing high winds, followed by frost, pretty much destroyed all the newly emerged blossoms overnight. Growing fruit at high altitude has its challenges. Hopefully, some other local growers faired better than we did, perhaps offering some of their crops at the farmers’ markets later on this summer. Getting back to the recipe, other than the substitution of pears poached in white wine, we converted the recipe to gluten free, using a combination of chestnut flour, brown rice flour, sweet rice flour and tapioca flour. An interesting addition that we also included in this recipe, in place of the typical gums and binder, was psyllium seed powder (1-1/2 tsp. dissolved in 2 Tbsp. of warm water). Why psyllium seeds you might ask? Well, we have been using rice bran as a thickening agent in the past (works really well in bread recipes and muffins but has mixed results in delicate desserts and cakes). Psyllium seed powder has a funny name and is surely known to many you as the agent that keeps you “regular.” You know what we are talking about. However, don’t knock it, it works very well as a binding agent in gluten free baking. For the caramel, we kept the amount of sugar suggested in the recipe, but substituted equal amounts of coconut sugar and sucanat for the brown sugar. We love coconut sugar for its low glycemic index and delicious molasses-like flavor, a perfect addition to caramel. We only used half the amount of sugar called for in the batter, and replaced the granulated sugar with sucanat. If you are interested in the original recipe, please check out the beautiful site of this week’s host, Erin of Pastry Brush. You can also find the recipe on page 244 in Baking with Julia, by Dorie Greenspan. Also, do check out the many contributions by our talented fellow Doristas at TWD. As we mentioned earlier, we used a larger cake pan (9″ spring form, lined with parchment paper), set on a heavy cookie sheet, to prevent spillage. After peeling, halving and coring the pears, we poached them in about 3/4 cup of white wine (Alice White Lexia Muscato, from Southern Australia). While the pears were poaching, we prepared the caramel, as suggested, substituting the same white wine for the bourbon. We continued with the rest of the recipe, exactly as described in the book. The cake rose and baked beautifully, but needed an additional five minutes of baking time – this could be attributed to our high altitude, or our oven, which can be temperamental at times. Once baked, we let it cool for a few minutes in the pan, just loosening the outer edges with a sharp knife. The recipe suggests flipping the cake immediately on to a cooling rack. Flipping a cake takes courage and conviction – you have to believe you can do it ahead of time. The rules for baking gluten free are slightly more challenging. We knew that we could flip the cake, but were less sure whether it would survive the cooling rack, followed by another transfer to a platter. So it went straight onto a platter, fingers crossed and breath held. Success – a beautiful cake after all. After the cake had sufficiently cooled, we could finally enjoy the reward of sampling a slice. This cake immediately moved high on our most favorite list. The combination of flavors is outstanding. Delicate, subtle and sweet and completely satisfying. Do give this dessert a try. We loved it. I would think that the chestnut flour paired really well with the pears. Thanks, Cher. The chestnut flour does add a nice flavor that beautifully compliments the pears. It also makes the batter light and fluffy, allowing for the cake to rise. Very impressive. 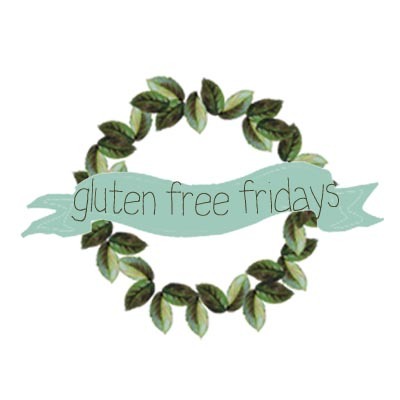 My daughter just realized she has an intolerance to gluten–I’ll send her your blog. Thanks! Thanks so much, Cindy. We enjoyed making this recipe. Thanks for the referral. Yummm! Our pear trees had the same misfortune as yours this year. It’s sure has been a hard cold year for all the fruit in our area. Thank so much for another delightful recipe. Sorry to hear about your pear trees. All our fruit trees have suffered this year. Glad you liked the recipe. Hope your week is going well, Linda. Inge and Gillian: what a fabulous versionof this week´s recipe – I love that you added delicious bosc pears to your gf version of this fabulous upside-down cake. The last picture is just wonderful, lots of fruit, deliious cake and nuts, just perfect. I always enjoy coming here and I am always amazed at your wonderful insights into the art of gf baking! Respect, again! I do hope that all is well with the both of you! Thanks, Andrea. Everyone here loved this recipe and it is definitely something we will make again, perhaps this time with rhubarb and strawberries. Wow!! Your cake looks amazing! Love the look of the pears on top. As always, I’m amazed at how you can change up the recipes and make them gluten free. Thanks, Sandra. This recipe was a little easier to convert than some others we have tried. Wow! your cake looks amazing with those pears! I am constantly amazed at how you change the recipes to become gluten free. Well done! Thanks. This recipe turned out to be easy to convert and so worth it. This cake is delicious. Your photos are beautiful, and the pear & sweet white wine combination sounds fabulous. Your cake makes me think of cheesecake, and it makes my mouth water. You are right. The combination of the pears and white wine is delicious. Surprisingly, the cake did taste a little like cheesecake. A bonus as far as we are concerned. What a beautiful cake! Probably the most beautiful I have seen so far. Happy to read this was a success for you! Thanks, Cathleen. We loved this one. Wonderful!!! Your pear version looks beautiful!!!! In fact, this kind of cake is extremely versatile, so it’s easy to play with it!!! One more time great job!!!! Thanks, Mel. It is so good that we will definitely be making it again. Half the fun of this recipe is that it is so easy to work with. Gorgeous! I love that you used pears…bet it was scrumptious! Thanks, Liz. Everybody loved it. Pears poached in white wine added that special touch. So pretty and I love the combination of flours you used. It must have paired perfectly with the topping. So beautiful! I love how you used huge pieces of pears. I love fruit. The white wine must have made it amazing! I can’t wait to try it with pears! Brilliant use of psyllium. Nicely done. Thank you for posting.